Meteorologically speaking, the August Bank Holiday in Gloucestershire brought what might be considered to be a traditional mix of ‘fair weather & foul’. 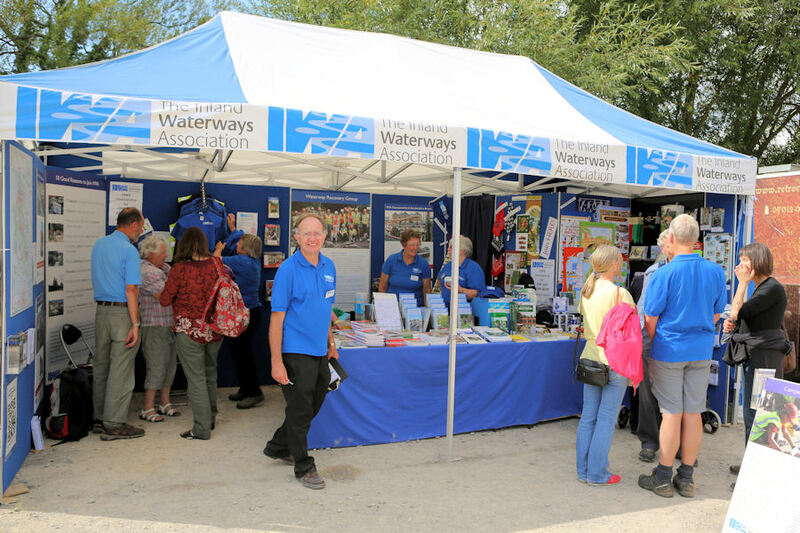 The event, planned and operated by a small team of volunteers working with a limited budget, nevertheless placed a boundless amount of pleasure, interest & information before boaters, campers and day-visitors alike. Craig Glassonbury of RW Davis Ship & Boat Builder at Saul Junction owns the Liverpool Class Lifeboat ‘The Always Ready’. 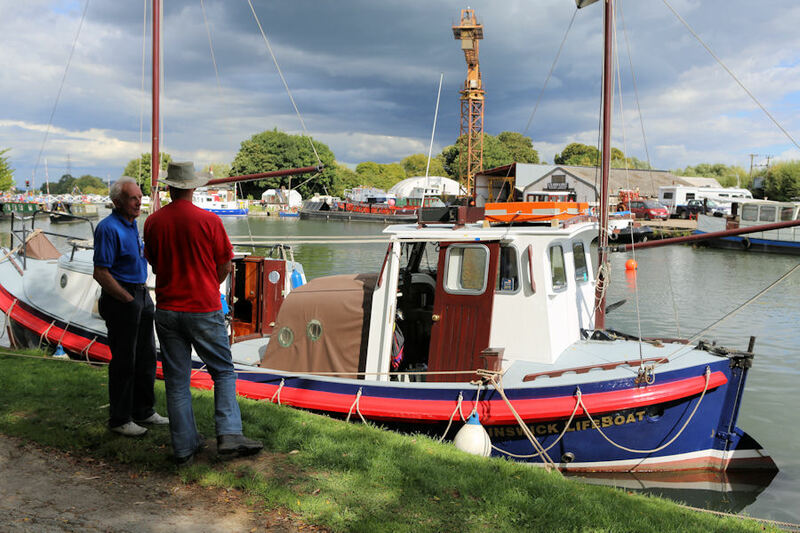 Over fifty canal boats travelled to Saul from all points of the interlinked waterway system. Crowds lined the canal bank to watch the afternoon boat handling competition. The illuminated boat parade carried the interest into the evening. The well-known author, broadcaster & historian Graham Fisher was a constantly active & audible host throughout the event. Graham’s informed, erudite and appropriately amusing commentary on every occurrence over the weekend brought the event to life. Ciara Wakefield, who once appeared as one of the youngest singers ever to perform on Saul Festival’s Folk on the Water line-up, was responsible for securing the services of a range of local musicians and entertainers. Ciara’s musical experience & connections provided a constant stream of modern and traditional music to keep feet tapping and faces smiling all weekend. One notable performer was local singer/ songwriter Jeremy Blick. (Picture three above.) 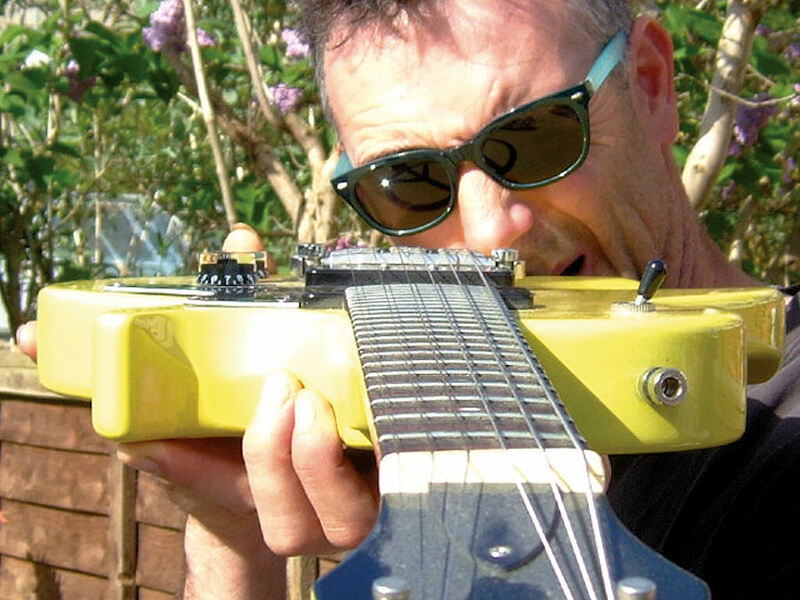 Jeremy's set of self written songs included instrumentation, lyrics and sensitivity that perhaps might belie some peoples expectations of a man who lays bricks for a living. The spiritual needs of Pageant attendees were also met by BBC Radio Gloucestershire’s Reverend Richard Atkins who officiated at the Sunday evening Church Service. Hymns were sung to keyboard accompaniment provided by Elizabeth Boon. Cotswold Canals Trust membership numbers received a massive boost over the Pageant weekend. Canal Boat Magazine Editor Nick Hall made available a number of ‘Goody Bags’ to people signing up as Trust members at the Pageant. The Goody Bag contained the current edition of Canal Boat Magazine, a map of the inland waterways and a much sought after book for people seeking guidance on purchasing an inland waterways boat. Thirty five new members joined the Cotswold Canals Trust over the Pageant weekend. What news for the future? Many visitors asked the obvious question… “Will this be happening next year too? IWA Events Organisers reply is ‘Yes… in Northampton’. Click here or on the icon below to find out about Northampton’s Festival of Water.